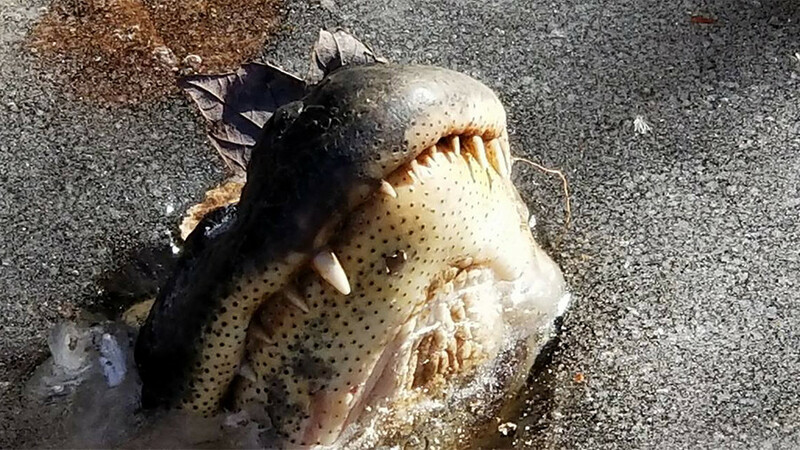 The ‘bomb cyclone’ that froze the eastern seaboard of the US last week forced many to take extreme measures to stay warm and stay alive, including a group of rather inventive alligators in North Carolina. 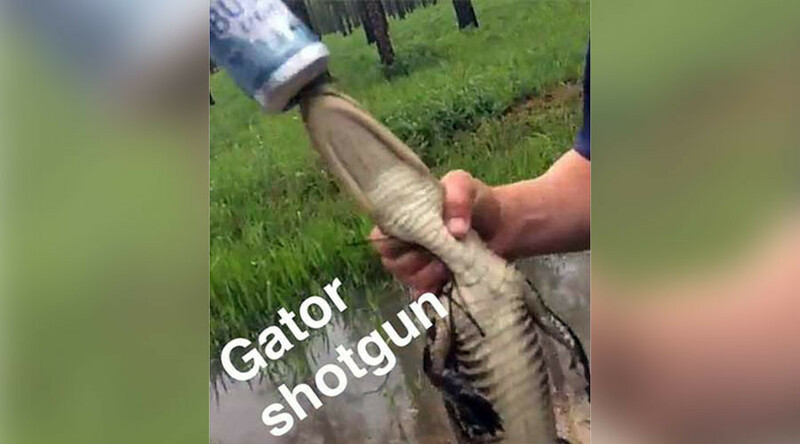 Footage captured by the staff of the Shallotte River Swamp Park in Ocean Isle Beach, North Carolina shows the somewhat surreal survival technique employed by the cold-blooded reptiles which allows them to be frozen in place in the park’s pond. Even the 'bomb cyclone,' which wrought havoc across the eastern seaboard of the US, couldn’t catch these crafty creatures off guard. 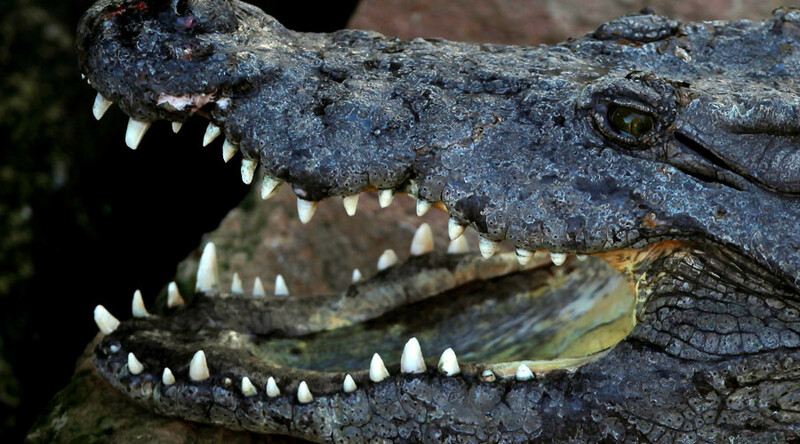 The gators instinctively know when the water around them is about to freeze and raise their snouts at just the right time, allowing them to enter a state of brumation, a kind of hibernation that also involves slowing down an animal’s metabolism. 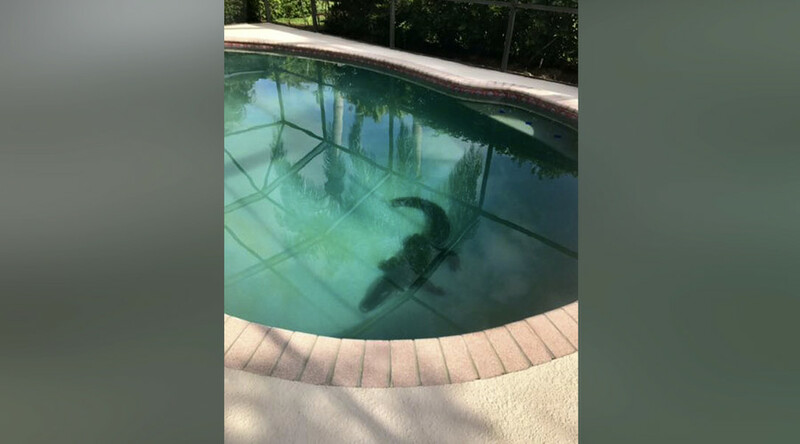 Videos showing the alligators “just hanging out in the water,” have garnered tens of thousands of views since they were published over the weekend. The reptiles are capable of regulating their temperature in a variety of weather; as they are cold-blooded, they cannot generate their own body heat but they can regulate it, sometimes employing rather extreme measures to survive, as evidenced by the bizarre photos and videos above. “Just shows you how smart they are, and how amazing it is to see them do this exact survival technique, no matter how horrific it looks to us humans,” park owner Linda McMullan wrote on Facebook. 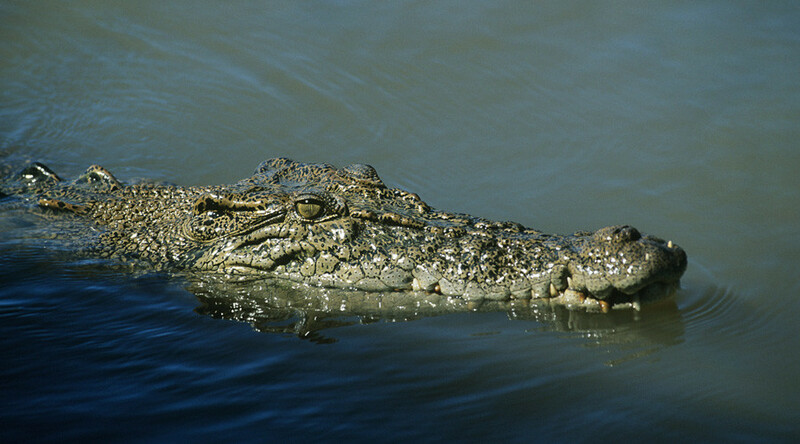 Once warmer weather returns and melts the ice, the alligators will thermoregulate their body temperatures with a spot of sunbathing. 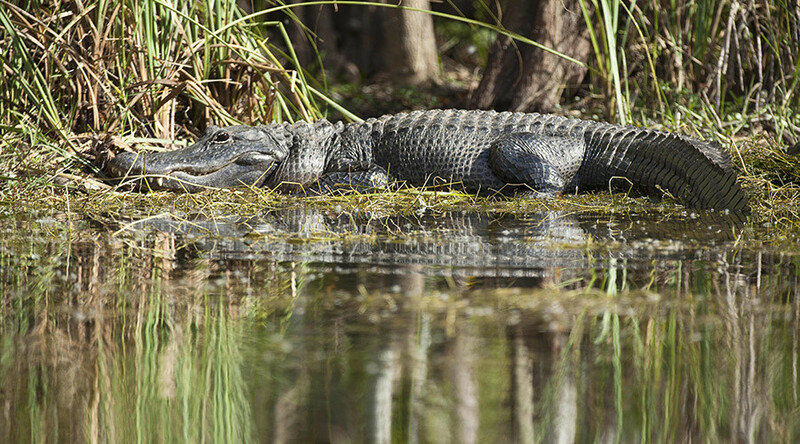 The park later posted an update video on January 9 to show the alligators swimming around after the ice had thawed.